Almost forty years after the release of the original film, Star Wars still plays a prominent part in many people’s lives and with a new film to be released imminently its popularity shows no sign of abating. 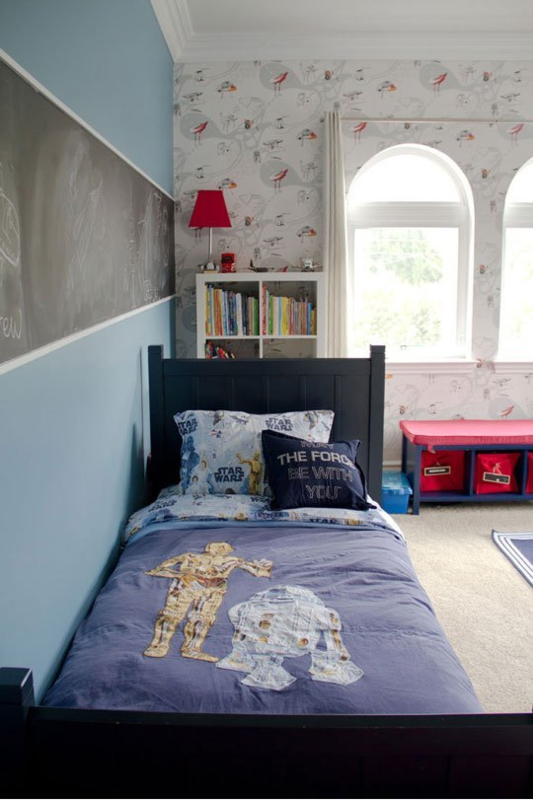 With Star Wars infiltrating all areas of fans lives, Good to be Home’s favourite pledge to the Jedi cause come in the shape of these interiors inspired by a galaxy far, far away. 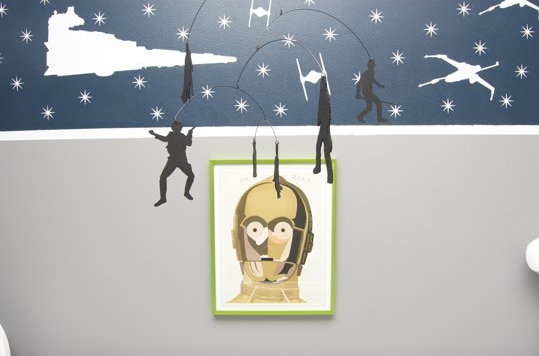 The following rooms show that you can pay tribute to your favourite films and pieces of pop culture in a stylish way by being restrained with the accessories and using tastefully effective colour schemes. 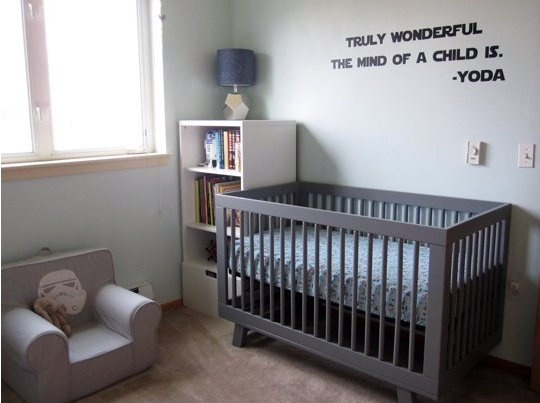 This nursery over on Apartment Therapy ensures that the lucky tot in question will be indoctrinated from the start. 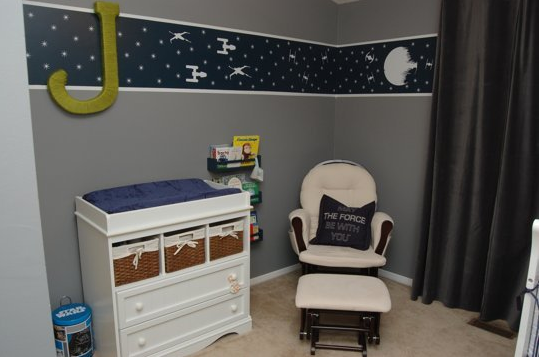 However, little John is lucky enough to have parents with a fine eye for interior design as well as a passion for George Lucas’s classic series. Space age greys are very much in at the moment, but like Star Wars, when have they not been? 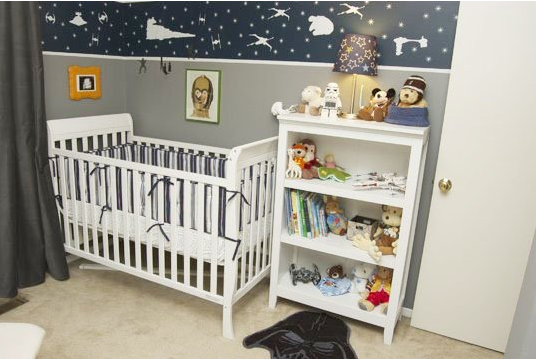 The theme is tastefully implemented with the perfect colour scheme complimented by Star Wars accessories which were collected by the child’s parents over years of fandom. Inspirational, this printed quote from Yoda is. This room, also featured on Apartment Therapy, has also been decorated in a muted fashion so it can double up as an intergalactic guest room. This combination of framed C3P0 print with stars and ships vinyl decal is brilliantly modern-looking despite paying homage to a film which is four decades old. 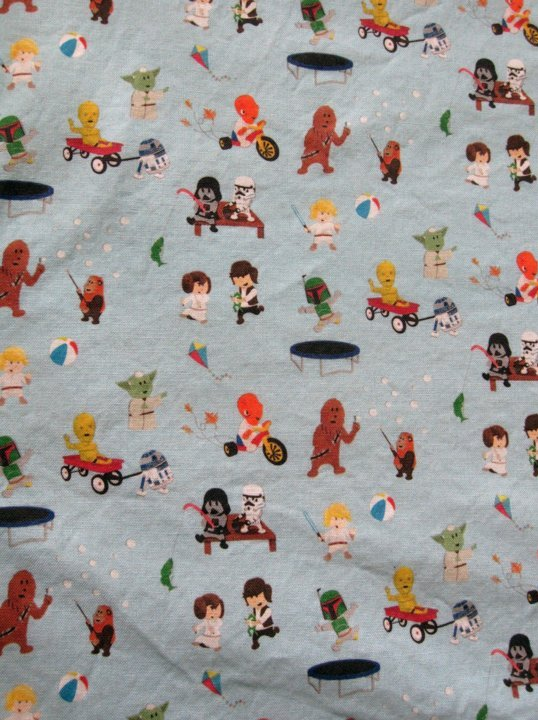 With a seventh instalment of the franchise set to be released later this year, Star Wars bed spreads are set to make a return to kids (and adult’s!) rooms all over the world. These cute characters will appeal to the junior fanatic, but the above design go to show that any room can be inspired by the Planet Hoth.